In 26 AD, Antipas journeyed to Rome from Jerusalem to visit his half-brother Philip, Philip’s wife Herodias and their child Salome. 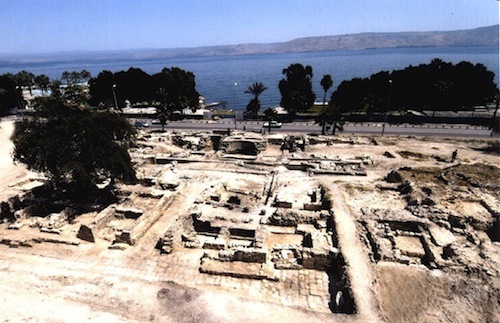 Jerusalem in the 1st century AD had a population of about 80,000. That was large compared to the other cities in the region. But Rome was The City of the ancient world with a population of c. 4,000,000 including suburbs. (Based on a 1941 excavation at Ostia, Italy). All roads led to Rome and when Antipas sailed across the Mediterranean and landed in Ostia, the port of Rome, he was aware his litter was carrying him to the only city that mattered. Antipas was familiar with Rome. He and all of Herod the Great’s sons were educated in Rome in Caesar’s palace. Antipas had lived there during his formative years from c. 8-16. 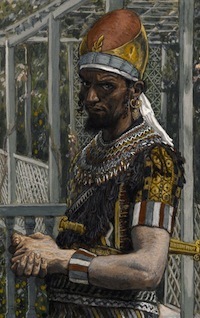 His older brother Philip preferred to remain in Rome after his education, far away from his father and the intrigues of Herod the Great’s household. It is impossible to know how long it had been since Antipas and his half-brother Philip and his family had seen each other, but it is sure Antipas was greeted warmly by the kind Philip. 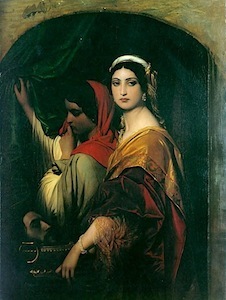 Antipas had known Philip’s wife Herodias since he was a child. She was the daughter of one of his older brothers Aristobulus and they were only 5 years apart in age. After Herod the Great had killed Herodias’ father Aristobulus AND his brother Alexander, he espoused each of Aristobulus’ orphans to a member of his large family and Herodias was to marry Philip. Herod married at least 10 wives and continued to have children for over 50 years. As can be deduced if one follows the Herodian line carefully (if one has the inclination to wade into the morass), Philip was his wife Herodias’ uncle and Antipas was, also, her uncle. 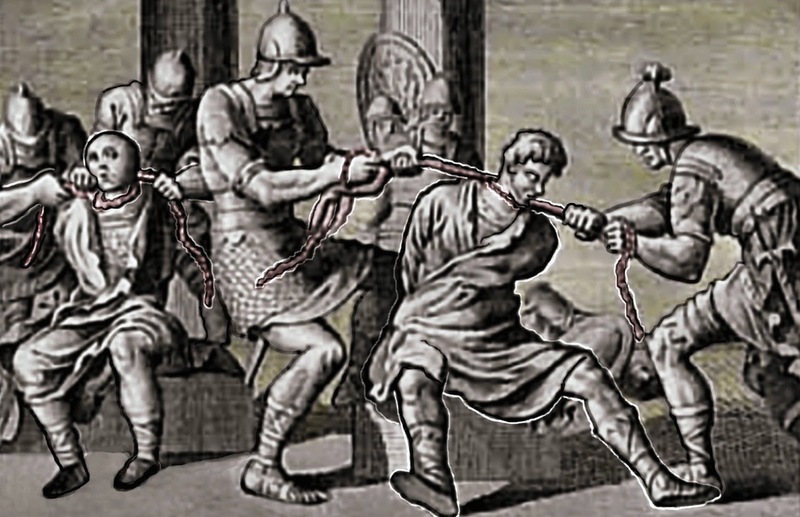 The reunion in Rome in 26 AD was a reunion of relatives: half-brother to half-brother, niece Herodias to uncle Antipas and, in Salome’s case, great-uncle Antipas had come to visit his brother, his niece and his c. 12- year-old grand-niece. During the summer months of July and August the temperatures in Rome average c. 86 degrees. In the first century AD Rome was cramped, crowded, dirty and hot. Philip’s domicile was heating up, too. There were fireworks between his niece/wife Herodias and his brother Antipas. They fell in love and it was decided that Antipas would divorce his wife Phaesalis and Herodias would divorce uncle Philip and they would marry. We have no extra-Biblical or ancient textual knowledge of how Philip felt about this arrangement. He seems to have been one who avoided conflict, but his brother Antipas and especially his wife Herodias were head-strong people. When Antipas and Herodias married, Herodias had to divorce her uncle/husband Philip in order to marry her uncle/brother-in-law Antipas. 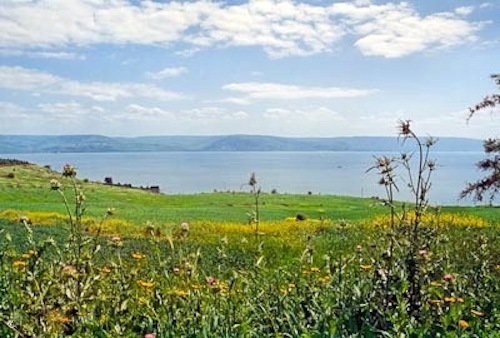 She moved back to Israel with her teenage daughter Salome and the three settled into Antipas’ palace in Tiberias near the Sea of Galilee.